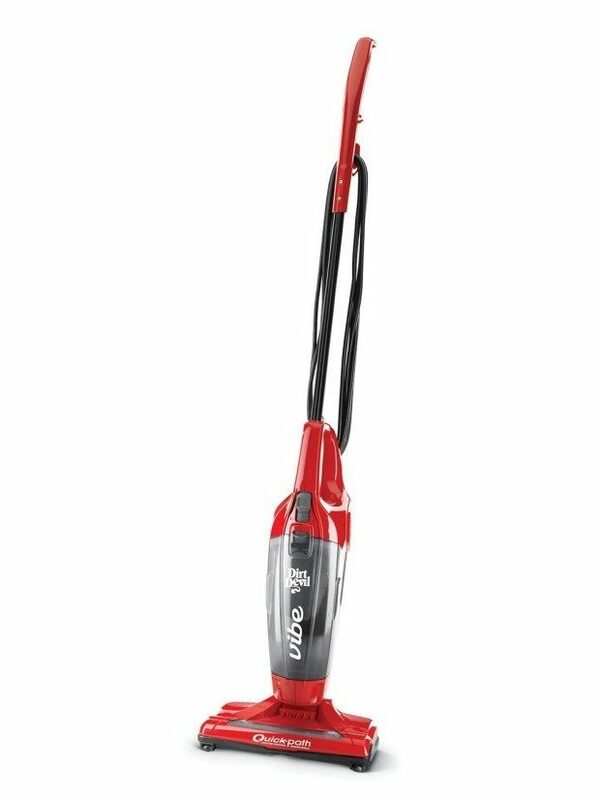 Dirt Devil Vibe 3-in-1 Corded Bagless Stick Vacuum Only $24.99! You are here: Home / Great Deals / Amazon Deals / Dirt Devil Vibe 3-in-1 Corded Bagless Stick Vacuum Only $24.99! The Dirt Devil Vibe 3-in-1 Corded Bagless Stick Vacuum for Only $24.99 is the perfect lightweight vacuum for all your small messes. With on/off brushroll you can conveniently move from carpets to hard floors at the touch of a button. At Amazon you get FREE shipping if you are a Prime member or FREE shipping on order of $35+. If you prefer, Target has the same model for the same price!